Nigeria’s anti-graft czar, Ibrahim Magu has faced consistent rejection from law makers whose duty it is to confirm his appointment. 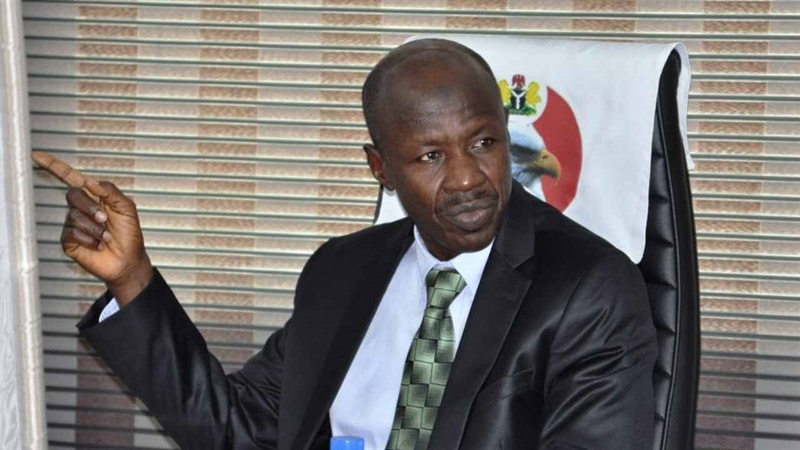 But despite the rejection, report coming in says that the presidency will for now, retain Magu as the boss of the Economic and Financial Crimes Commission (EFCC), in spite of his rejection by the Senate. Pending judicial pronouncement, the government believes that Magu’s appointment stands. According to the Nation, the presidency based its decision on an advisory prepared by judicial and legal experts on Section 171 of the 1999 Constitution. The experts brought up a ruling of the Supreme Court on the matter where the Chief Justice of the Nigeria (CJN), Justice Walter Onnoghen, before his elevation as CJN, ruled in line with the view of the Presidency on the matter. Onnoghen had ruled that the constitution overrides any provision of an Act/Statute. The Executive said it will await the judicial review of Section 171 for the final say on Magu. “In fact, the conclusion of the legal advisory on the matter is very clear that a judicial pronouncement preferably by the Supreme Court is what will settle the matter,” a source told the Nation.